For many, hitting “30,”a benchmark of sorts. But, for one kitty, it may just well mean he is the oldest cat in the world. For many, hitting “30,” is a benchmark, of sorts. For some, it is a sigh of relief for making it past those first couple of decades. For others, perhaps that “age” holds a decidedly contrary meaning, a good-bye to all things youthful and bright. Whatever your personal preference as to what the holds, for one kitty is may just well mean he is the oldest cat in the world. 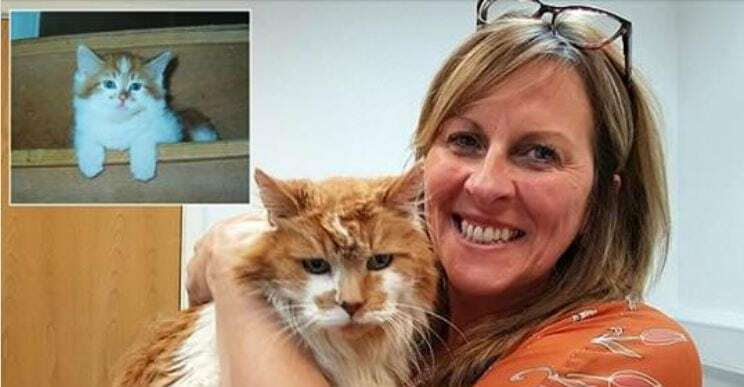 While Rubble’s owner, Michele Heritage, has no interest in pursuing the fame of the Guinness title of “World’s Oldest Cat,” (Creme Puff of Austin, TX, is the oldest cat on record and Scooter, a Siamese who hailed from Mansfield, TX, holds the official Guinness Book of World Records), she did take him to celebrate his birthday at the veterinarian’s for a party.